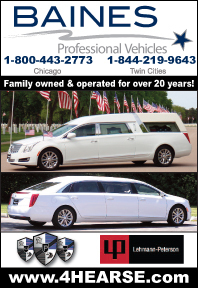 The FUNERAL HOME & CEMETERY DIRECTORY contains listings of virtually every funeral home throughout the United States, as well as listings for over 6000 active cemeteries. Listings include name, address, phone, fax and toll free number where available. 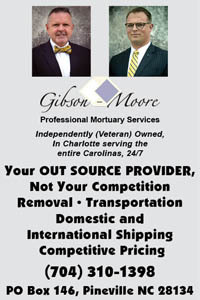 The directory also includes listings for Canadian and select International funeral homes, Trade Service companies, Veterans Affairs facilities, Foreign Consulates, and US Daily Newspapers. For reference purposes Foreign Shipping Regulations, Funeral Home State Boards, Cemetery Regulators, and Where to Obtain Certified Certificates have been included. The directory is published in both the 8.5" x 11" Standard Size and the 5" x 7" Pocket Size editions. The handy Pocket Size edition fits easily into your briefcase, in your nightstand or in your car glove box. Information in the two editions is identical. Digital Edition is a PDF file of the Funeral Home & Cemetery Directory. You will be emailed a link to download the file to your device. The pages are viewed as an identical image of the print version of the Funeral Home & Cemetery Directory. Electronic files are also available for purchase for use as a database or mailing list. 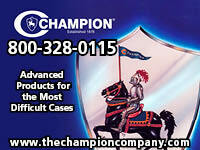 Please call us at 800-321-7479 Ext. 250 for more information and pricing. In addition to listing all service/supply companies by the product or service offered to the funeral and cemetery industries, the BUYER'S GUIDE also contains listings of firms dealing with Pet Deathcare. For reference purposes the US Daily Newspapers, Educational Services and Trade Associations are also included. Listing the US Daily Newspapers in the Buyer's Guide has eliminated the need for the Daily Newspaper and Hospital Supplement Guide.